Today is the 9th death anniversary of Baul Samrat Shah Abdul Karim. To mark the day in a befitting manner, different socio-cultural organisations have chalked out elaborate programmes across the country. Besides, local satellite television channels and radio stations will air an array of quality programmes today. Shah Abdul Karim will remember through doa mahfil and Baul musical soiree held at his village in Sunamganj this evening. Baul Samrat Shah Abdul Karim Parisahd will also organise a programme to mark the day. Deputy Commissioner of Sunamganj, Md Abdul Hye will grace the occasion as special guest. Karim’s son Shah Nur Jalal will also present on the programme. Familiar songs of Baul Samrat will be rendered on the programme. Karim was born on February 15, 1916 at Ujan Dhol village in Derai upazila of Sunamganj district, Shah Abdul Karim led a very simple life. He is very popular musician around the country, especially in the Bhati area. Abdul Karim is famous in the remote village area for the very long time but gets popularity in city area only a few years ago when some newcomer singer established themselves by singing his song. Growing up in poverty and facing hardship, he started expressing his thoughts and emotions musically from a very early age. Ektara, a traditional single string musical instrument, had always been his constant companion. However, poverty forced him to seek work in agricultural farms. As he was growing up, he received training on spiritual and Baul music from Shah Ibrahim Mastan Baksh. Shah Abdul Karim wrote and composed over 1,500 songs. Bangla Academy has translated ten of his songs into English. Baul legend Shah Abdul Karim won the hearts of millions of Bangla music lovers with masterpieces like “Bonde Maya Lagaise,” “Kano Piritee Barailarey Bondhu,” “Gari Cholena Cholena,” “Ami Koolhara Kolonkini,” “Agey Ki Shundor Din Kataitam,” and many more. He was awarded the Ekushey Padak in 2001 for his outstanding musical achievements. He also received the Drouhee Kotha-Shahitayk Abdur Rouf Choudhury Award in 2000. 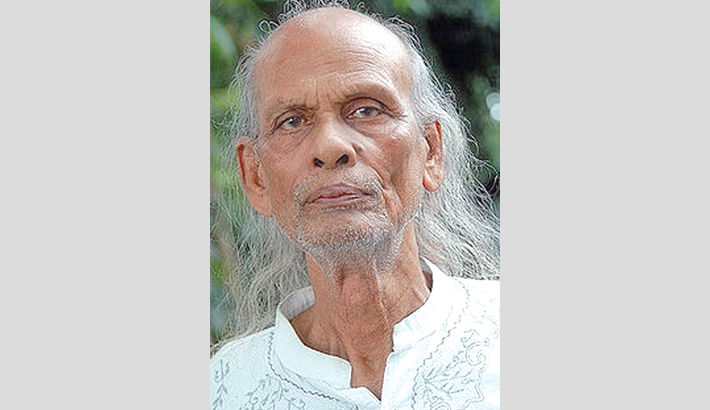 Shah Abdul Karim died of respiratory problems in Sylhet on September 12, 2009. He received the invitiation of Baul music from Satk Rasheed Uddin, Shah Ibrahim Mastan Baksh. Shah Abdul Karim has also practiced Shariati, Marfati, Dahibhitya, Ganan Sangit and other sections of Baul songs and music. For the first time in 2007, a book based on his life and work was published in the lifetime of Shah Abdul Karim.